"Where do you get your chairs for display?". Here are a few I have available for purchase. These are perfect for the large dolls and work well for the medium dolls also. 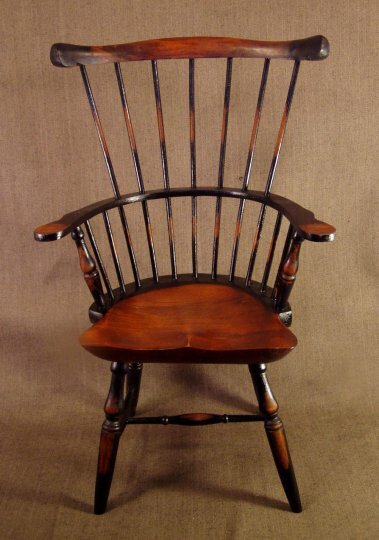 With an antique brown finish this is a more elegant chair than the rustic ones 13 1/2" high and 8" wide. 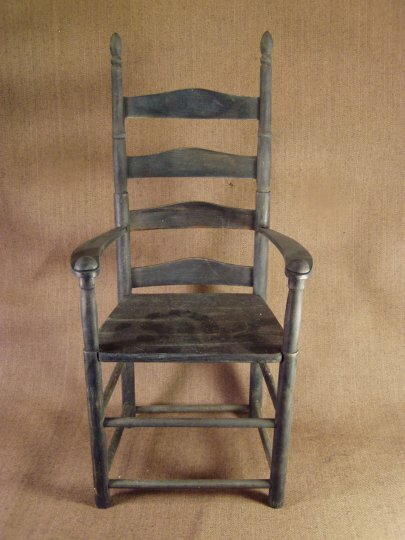 Painted antique blue, this chair is 15" tall and 7" wide. 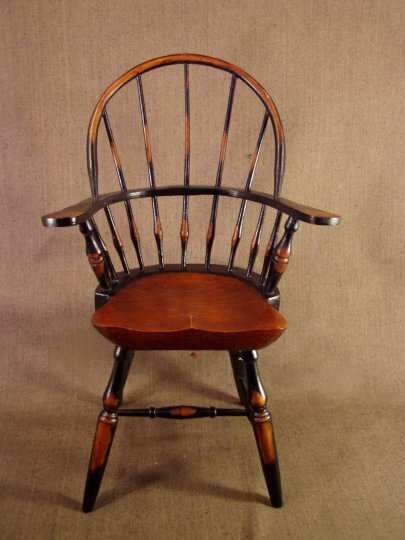 This chair also has a more elegant antique brown finish. 15 1/2" tall and 9 1/2" wide. 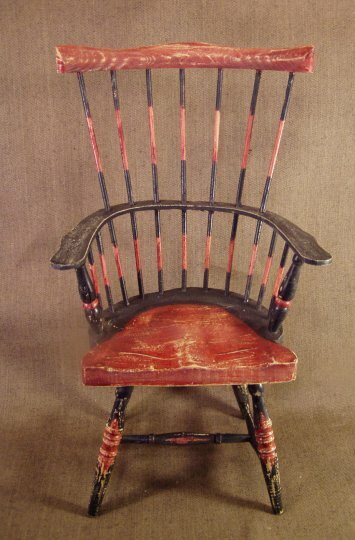 This red and black painted chair is distressed for a rustic look. 13" tall and 7 1/2" wide.